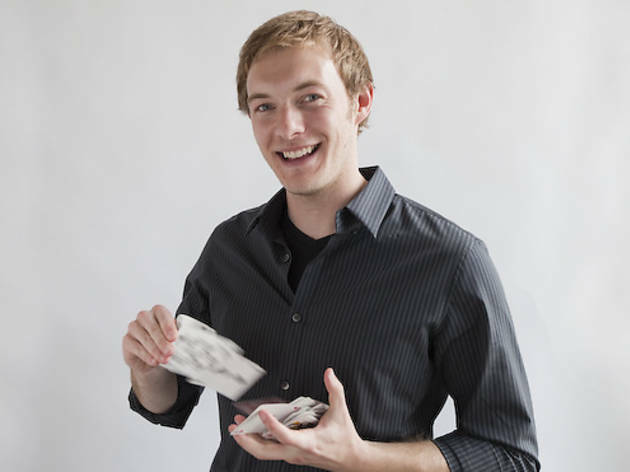 Recently, we checked in with Brett Schneider (along with three other great Chicago-area magicians) about his cool career—and then we asked him to visit our studio to perform some magic for us. We bet you'll be just as flummoxed as our intrepid Time Out Chicago editor Ruth Welte, whom Brett recruited to help with the trick. First trick you learned My dad made a quarter disappear when I was about five years old, and he eventually taught me how to do it. With time I mastered the trick, but learning how to make it reappear was much harder. Secret you can never reveal When you’re waving the ______ over the _____, be careful not to _____ too much, or else all of the ______ will fly away and the ______ could explode. 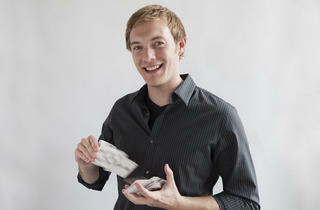 Favorite magician An even tie between British mentalist Derren Brown and Gob from Arrested Development. Advice for budding magicians Performing magic is a gift you’re giving to the audience, never a secret you’re keeping from them. Learn more about Brett Schneider at brettschneidermagic.com.